The Neerkol Children’s Home (or St. Joseph’s Orphanage) was located on an old cattle property in the bush outside Rockhampton, in Queensland. After Bindoon (see previous entry), it was one of the first cases to reach public attention in the early 1990s. It was run by the Sisters of Mercy, a group of Catholic nuns, and overseen by the Queensland Government. Neerkol has been the subject of a book by Garnett B. Williams, “Nightmare at Neerkol”. It has also been the basis of a Ph.D. thesis by Jody Jackson of the University of Miami in the U.S., based on interviews with a former Neerkol resident, David Owen (“Stain on the Brain – the David Owen Story”). Neerkol was the destination point for some of the “Child Migrants” (see previous postings) sent from Britain to Australia to provide “good white stock”. Many were orphans, but many also were from disadvantaged homes and were simply told they were orphans. 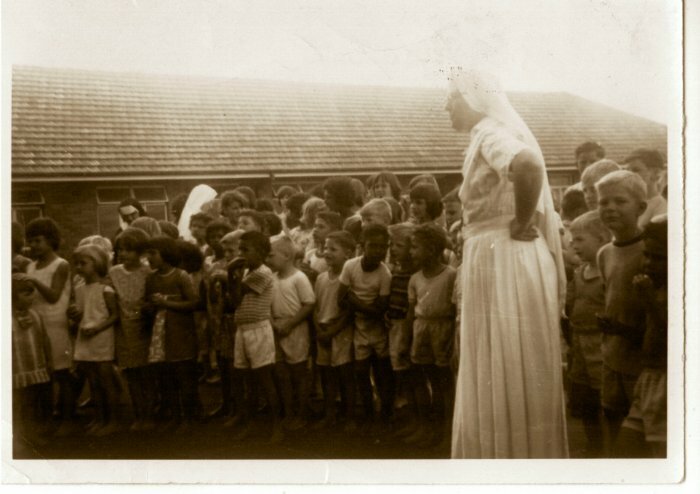 One former resident states that she “grew up in Neerkol orphanage in Rockhampton. I went to the orphanage when I was 11 years of age. We were taken off our parents and charged with being neglected. We were taken to court. The five of us were in court. My grandfather went there to try to stop them from taking us, but they wouldn’t give us to him. He went away and he was so upset.” She was subsequently abused in Neerkol. As Garnett Williams has noted, it really was a nightmare sort of place, for both the boys and girls. The violence was extreme, and sexual assaults of both boys and girls was common. As with most of the old “Homes” the abuses were possible because of the lack of scrutiny. An old friend of the author, the late Mary Keel, a child migrant, (see previous posting) was the first to detail the abuses to the media. She found a sympathetic ear in the form of Tony Koch, a Courier-Mail editor who later wrote extensively on the Homes issue (see reference below). Along with about 70 other former residents of Neerkol, she was awarded “compensation” by the Catholic Church, of $1,300. To Mary, that was a lot of money. Along with a groundsman, a “chaplain” at the Home, Fr. Reg Durham, was prosecuted for sexual assult of residents. Durham was at the Home from 1965-1997, though the local Bishop, Brian Heenan, denied he was ever there. Police settled the matter by proving he was indeed there at the time of the complaints against him. The monster, Fr. Durham, was convicted in 1999, but the judgment was set aside on appeal, and a new trial ordered. However, it was then ruled, by the Mental Health Tribunal, that he was not fit to stand trial, on the basis of dementia. He died in 2003, unpunished. When one of Durham’s victims accidentally obtained documents on the case, (then) Premier Peter Beattie’s office threatened the victims with criminal charges if they contacted other victims. The Queensland Crown Solicitor had also threatened to take the victims to the Western Australian Supreme Court, but they had vowed, at the time, to release the mountain of paper only to a Royal Commission. Now that we do have a Royal Commission, this may be possible. The Catholic Church continued to be unsympathetic to Neerkol victims. Fr. Kennedy, of St. Mary’s in Brisbane, had allowed the Neerkol Action Support Group to use his office. Fr. Kennedy was forcibly evicted from his church by the local Archbishop. A previous posting has addressed the issue of slave labour laundries, such as the notorious “Magdalene Laundry” in Ireland (the subject of an official enquiry). One former resident of Neerkol has reported that “leaving the orphanage was conditional upon going to work in the Good Shepherd laundry which served the Brisbane area.” The laundry was run by an order of nuns associated with the Sisters of Mercy who ran Neerkol. Previous enquiries have referred to avoidable deaths at Neerkol. Records reveal that at least 19 children died during the time the orphanage was in operation. There are no headstones to mark the burials, nor is there any indication of where the burial ground is located. The site of the Home itself was only identified by a number of fruit trees planted by Neerkol’s children. A memorial has been placed near the site, funded by the Australian Government and dedicated by the head of the Forde Enquiry into abuses in Queensland Children’s Homes, Leneen Forde, in 2003. It reads, “Dedicated to the English boys and girls who left the security of their Birmingham and Middlesex Orphanages in 1951 to a brave and unknown future at Neerkol – St Joseph’s Orphanage”. [Postscript: Apparently, the old site of Neerkol is owned by the Stanwell Power Corporation. A petition to make the site publicly available can be found at http://www.change.org/en-AU/petitions/restore-and-open-the-orphanage-grounds-and-burial-sites-at-neerkol-qld-to-the-public. At present, it has very few signatories]. The 19 deaths were at the orphanage located in Bucasia, Mackay prior to the remaining 57 children being located to the Neerkol home.